This was my Mom’s favourite dessert, but my Grandma always made it when she cooked parsnips for dinner. My Mom said it used to take her about a quart of milk to get through the parsnips so she could have dessert! Hopefully you won’t have to bribe anyone to share this delightful stuff with you. Preheat oven to 350F/160C. 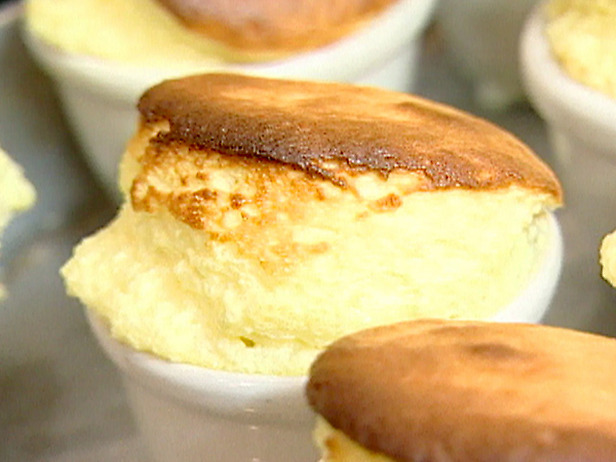 Grease a casserole style baking dish or 6-8 ramekins (depending on size). Prepare shallow pan for water bath. Blend sugar, flour, salt , butter, lemon juice and rind. Beat yolks well, add milk and mix. Add flour mixture gradually, stirring well. Fold in stiffly beaten egg whites. Pour into baking dish. Pour hot water in shallow pan, approximately 1 inch (2.5 cm) deep. Gently put baking dish in pan. Bake for 45 minutes, or until sponge on top bounces back when touched.